Collagen peptides in the eye serum keeps eye area skin young, smooth and supple: Moisturizes and plumps skin cells, smooth fine lines and winkles around eye area. Hydrolyzed elastin protein helps eye skin attract and retain moisture, promotes tight and elastic skin appearance. Hyaluronic acid retains skin moisture and firms eye area skin, soothes skin and reduces red and sensibility. 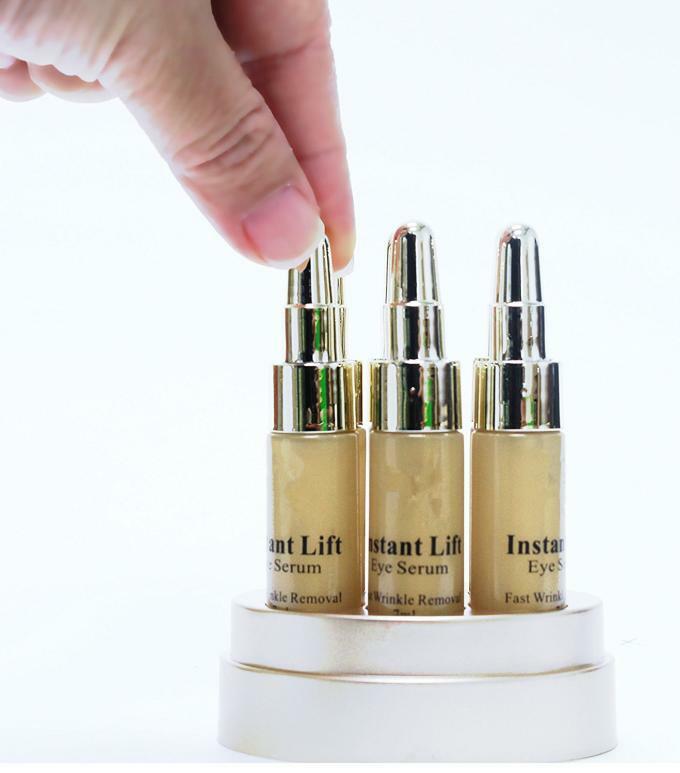 Plant extracts of scutellaria root, licorice root, mulberry root, burnet extract promote the anti-oxidant effect and prevent skin from early aging. 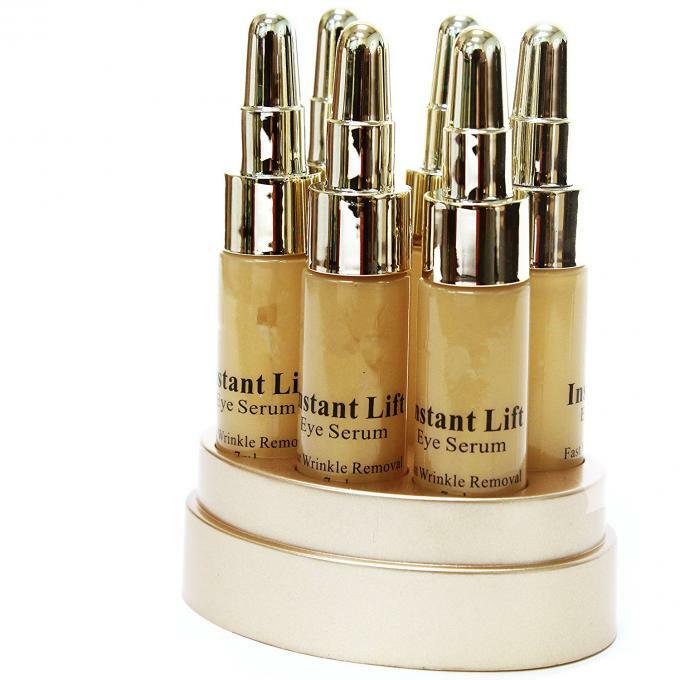 The anti-aging instant lift eye serum is formulated with natural plant based ingredients including marine collagen, hydrolyzed elastin, Scutellaria root extract, licorice root extract, mulberry root extract, burnet extract, hyaluronic acid and vitamin E. Use it twice a day in the morning and evening around eye area. The strong high concentrated formula gives instant lift and tightening to your eye area skin that can be seen in 3 minutes. 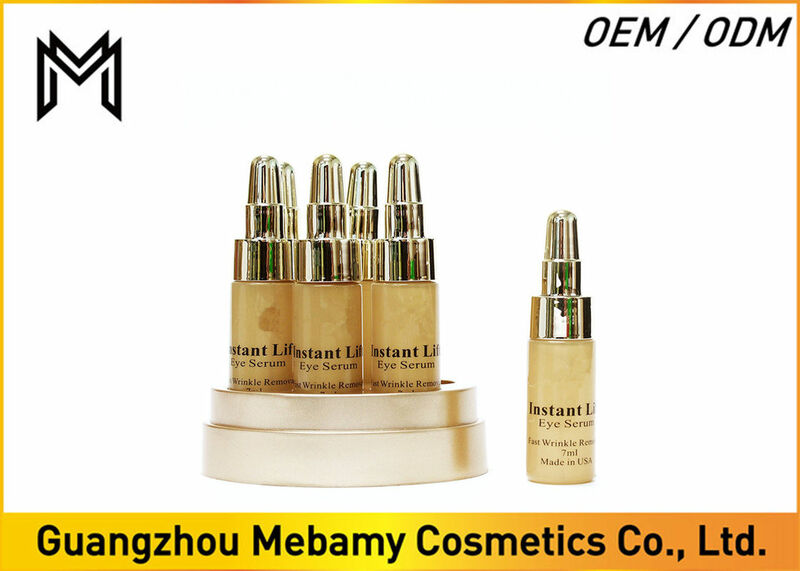 After one month of use, wrinkles around eye area will become less visible. Apply to clean skin once daily. Maybe layered with moisturizer or other cosmetics. Sample 1) Free sample is available, but we not charge freight. Main clients 1) India, America, Australia, France, Dubai, Turkey, Russia and South Afica.